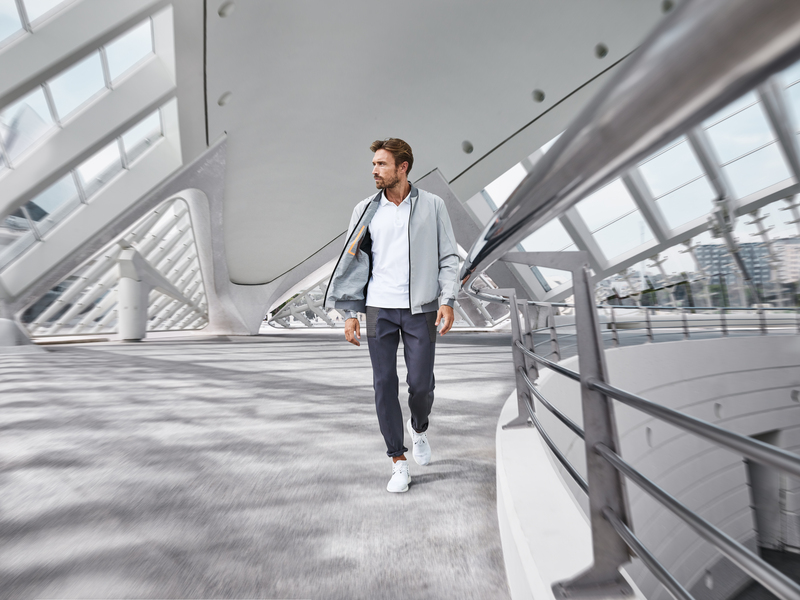 Porsche Design and PUMA have entered into a strategic partnership to bring a new line of high-end sportswear, footwear and accessories to the market starting in the Spring/Summer 2019 season. The collaboration blends Porsche Design’s sophisticated, functional design philosophy with PUMA’s innovative performance technologies. Combining the design heritage of the two globally renowned brands, the Porsche Design Sportswear Collection – available early March 2019 – features engineered products that will perform at the top level and stand for the fusion of lifestyle and performance wear. This has resulted in a dynamic collection with its own identity, which is supposed to appeal to customers expecting uncompromising aesthetics and performance. The new collection meets the needs of those accustomed to the best in high-quality sportswear. Both brands are rooted in the world of motorsport and bring complementary traits to this newly established partnership. Porsche Design brings its unique design philosophy, its engineering mindset and strong expertise in the premium segment to this collaboration, while PUMA’s sports expertise can be seen in advanced cushioning systems, seam-sealing knits and lightweight fabrics. “With PUMA we have found a qualified partner, who shares the same values related to technological innovation and functional design. We are very much looking forward kicking-off this partnership and to lift the Porsche Design Sportswear Collection to new heights over the following years. The new Spring/Summer 2019 Collection is just the starting point of this valued partnership." Jan Becker, CEO of Porsche Design Group. Throughout the years, each brand has remained at the forefront of excellence in functional design and innovative technologies, while continuously staying true to their roots. This winning philosophy has earned both companies numerous awards and is also perfectly reflected in the Porsche Design Sportswear Collection. Bjørn Gulden, CEO of PUMA. A collection ranging from active wear to sports-infused lifestyle wear, the full product range delivers technology, quality, sophistication and style with a clear vision: serving the 24/7 needs of the modern sportive urbanist. This is just the top of the iceberg, because there´s more to come in the near future.